Lambda Phi Chapter of Delta Phi Alpha at North Central College in Naperville, Illinois recently received a chapter grant to support two separate events. 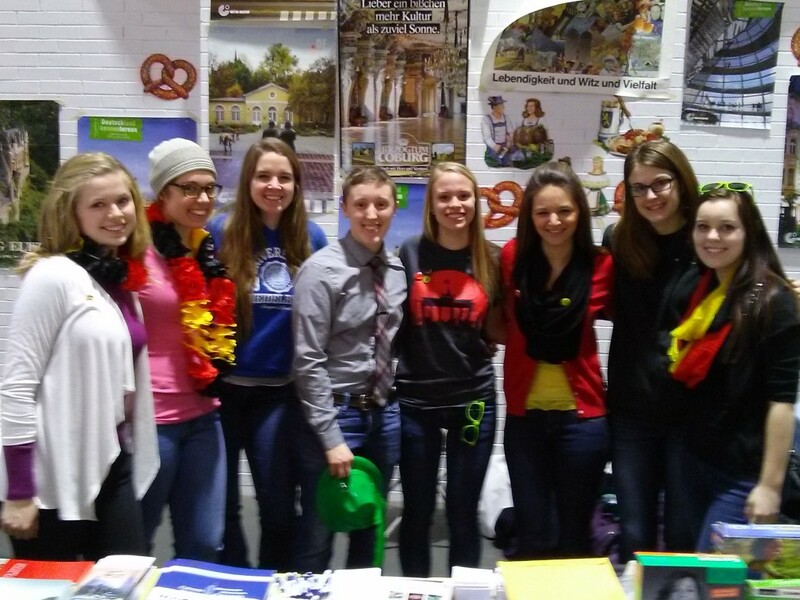 Lambda Phi sponsored a German information table and booth at its institution’s annual International Fest which attracted approximately 1,000 visitors on February 8, 2015. Honor society members not only distributed materials about the culture and history of Germany, Austria, and Switzerland, they also hosted German-language immersion rooms for youngsters and organized a German crafts table for children to construct their own crafts while learning some German. For the second event, Lambda Phi organized an evening German-immersion program at a campus honors house on February 25. In a focused attempt to build “everyday” vocabulary, members planned and cooked a dinner, and presented short reports about contemporary Germany society in a relaxed atmosphere outside of the traditional classroom.